The Hemet Sheriff's Station seeks your help in locating Frank William Truitt. On Thursday, August 31, 2017, at approximately 8:58 P.M., deputies responded to 45000 Block of Hwy 74, Hemet, CA. reference a missing person. 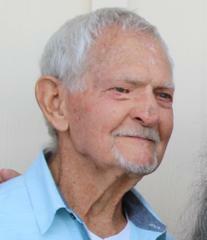 An extended family member, reported 89-year-old Frank William Truitt as a missing person. He is described as a white male adult, 6-0, 180 lbs., gray hair and hazel eyes. He is possibly driving a white 1998 Dodge Ram 3500 van, CA. #5SOH230, with a luggage rack on top.